“We’re fully invested in providing our partners with processing solutions that are tailored to their unique businesses,” said NMA Chief Technology Officer Jason Holderness. National Merchants Association (NMA), an industry-leading merchant payment processor, recently announced its partnership with Phoenix Managed Networks and their multi-channel gateway solution, PhoeniXGate. The availability of an NMA gateway will immediately reduce transaction costs, providing a powerful incentive for independent software vendors (ISVs) to develop on NMA’s infrastructure. The new union will also create more opportunities for innovation and development, while continuing to provide further vertical integration for NMA. The company cites an emphasis on the added control over the customer experience that can be provided for its merchants through this partnership. “We’re very pleased to be able to partner with Phoenix Managed Networks. For years, they’ve been a leading gateway provider, and they’ve been very supportive of our goals to build new technologies on top of their gateway product. PhoeniXGate will allow us to deliver highly-customized solutions for our merchants,” said Jason Holderness, Chief Technology Officer at NMA. New developments in the payments industry have often occurred at the gateway level. The emergence of new payment methods such as smart devices and near-field communications, as well as the explosive growth of customized point of sale (POS) and customer relationship management (CRM) systems, have been significantly driven by gateway innovation. PhoeniXGate presents an ideal way for NMA to support emerging businesses in the payments industry. “We’ve always been committed to development and being at the forefront of innovation,” said Holderness. “We’ve doubled our development team this year, and I’m spending a large part of my time in Silicon Valley building relationships with up-and-coming businesses that can leverage payments innovation to create massive new markets. This gateway initiative will let us really roll up our sleeves and dig into some new projects we’re working on — I can’t talk about them yet, but I’m confident they will create some major new opportunities for our merchants and partners." “We’re fully invested in providing our partners with processing solutions that are tailored to their unique businesses. With the help of Phoenix’s payment gateway, we’ll be able to bring significant new value to our merchants,” Holderness said. For more information about the partnership or to learn about National Merchants Association, please visit http://www.nationalmerchants.com or call (866) 509-7199. National Merchants Association is a global leader in merchant payment processing services and is dedicated to helping merchants and agent partners grow their businesses by generating sales opportunities and maximizing profits. 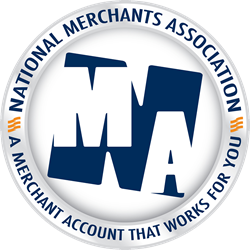 National Merchants Association is a true merchant advocate, working on behalf of businesses to eliminate the unnecessary and unreasonable fees associated with accepting electronic transactions. Visit http://www.NationalMerchants.com or call (866) 509-7199 for more information. As a network provider to some of the world’s leading financial institutions and blue chip companies, Phoenix Managed Networks provides reliable, cost-effective payment communications, gateway and network security services that connect and protect customer networks, businesses and brands. Phoenix has established a reputation of delivering quality, innovation and uncompromising customer care. For more information, please visit http://www.phoenixmanagednetworks.com or call (703) 230-7600.